August, September and October Deals! 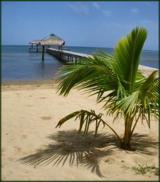 Roatan last minute vacationers never missed a beat during our "Its not a coup July"! Families and large youth groups flooded the Island to serve local charities and needs throughout the Island. Mixed with somesnorkeling anddiving, canopy tours, soccer matches, and just plain fun, tourist volunteerism has never been more popular! West Bay beach stayed full of people enjoying snorkeling, kayaking, fishing, and running back and forth in Water Taxies to shop in West End. Be sure to visit Diddilys Gift Shop and Waves of Art Artisan gift shop. People are still coming capitalizing on last minute deals with the airlines and many local resorts and private home rentals! Don't miss out on the August, September and October specials throughout the Island. We are having 2 for 1 meals at restaurants, supportive discounts on rooms and homes, diving package deals, canopy line specials and much more! Contact your favorite place to stay on the island now! Get answers to any questions you may have, buy the ticket, and be diving and snorkeling within 24 hours! Once you have travelled, the voyage never ends, but is played out over and over again in the quietest chambers. The mind can never break off from the jorney.